Celebrations call for yummy foods. Usually, we serve delicious red sauce spaghettis and sometimes even accompany it with meatballs. This is sure one pasta recipe favorite but our taste buds definitely ought to know other flavors that pasta can offer, right? 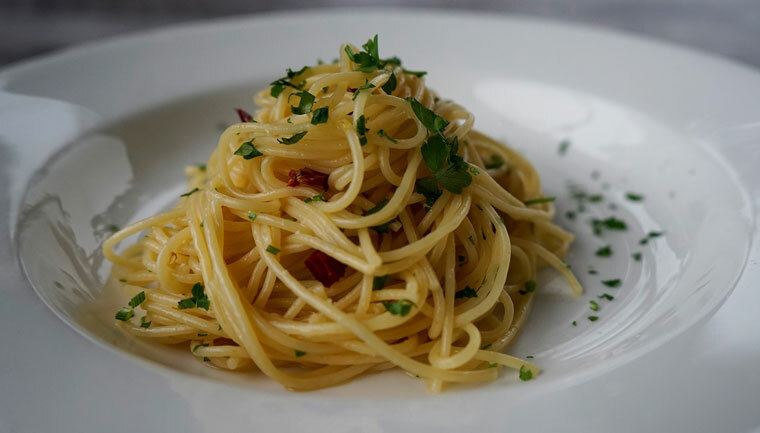 Let’s start with an easy one — Spaghetti Aglio e Olio. This is a popular, traditional Italian pasta dish that offers classic flavors you will surely love. Spaghetti Aglio e Olio means spaghetti with garlic and oil. The ingredients needed for this simple classic recipe are black and red pepper flakes, salt, garlic, pasta, parsley, vegetable oil/olive oil, and parmesan cheese. First, chop the garlic into thin strips and cook until golden brown. To save time, you can cook the pasta on the other side of the stove. Once the garlic turns brown, turn off the heat and add the boiling pasta water. This would add a richer flavor to your sauce. And you’re almost done! Season the pasta with pepper flakes and salt and add the garlic sauce, parsley, and cheese. Bon appétit!